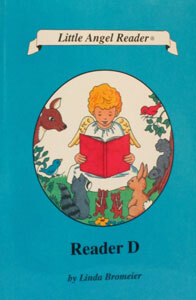 LITTLE ANGEL READER Catholic Phonics Series for Grades K-2 by Linda Bromeier, M.Ed. 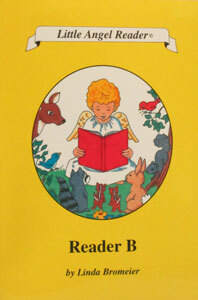 Reader A. 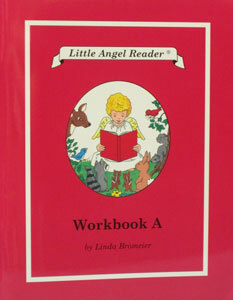 LITTLE ANGEL READER Catholic Phonics Series for Grades K-2 by Linda Bromeier, M.Ed. Reader B. LITTLE ANGEL READER Catholic Phonics Series for Grades K-2 by Linda Bromeier, M.Ed. 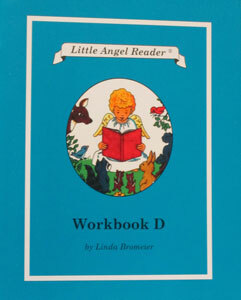 Reader D.
LITTLE ANGEL READER Catholic Phonics Series for Grades K-2 by Linda Bromeier, M.Ed. Teacher’s Manual. 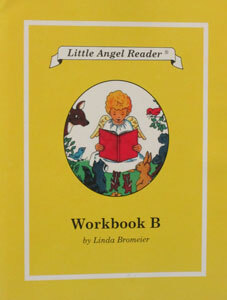 LITTLE ANGEL READER Catholic Phonics Series for Grades K-2 by Linda Bromeier, M.Ed. Workbook A. 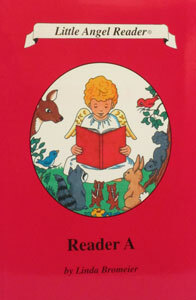 LITTLE ANGEL READER Catholic Phonics Series for Grades K-2 by Linda Bromeier, M.Ed. Workbook B. 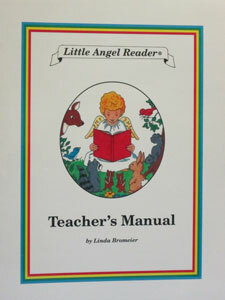 LITTLE ANGEL READER Catholic Phonics Series for Grades K-2 by Linda Bromeier, M.Ed. 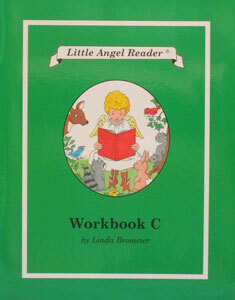 Workbook C.
LITTLE ANGEL READER Catholic Phonics Series for Grades K-2 by Linda Bromeier, M.Ed. Workbook D.